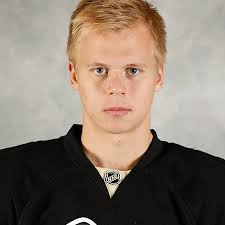 Olli Maatta is a vibrant, athletic 20-year-old. Which is why the news that he has thyroid cancer so rocked the Pittsburgh sports world this afternoon. Actually, the incidence of thyroid cancers in young adults is rising. It is the most common endocrine malignancy and occurs in females five times more than males. Fortunately, with localized disease, the overall survival rate is excellent at 97-100%. In a statement released today by the Penguins, team physician Dharmesh Vyas said, "Even if it is found to be cancerous, we do not expect that he will need radiation or chemotherapy,"
Most people have surgery to remove part or all of the thyroid gland. Sometimes a suspicious lump or nodule has to be surgically removed before you will know the type of cancer. From there, the most common treatment is radioactive iodine (no more Imagine Dragons at the games). Radioactive iodine is used to destroy any remaining thyroid tissue. Because thyroid cells have an affinity for iodine, the cells will hold on to the radioactive iodine while it kills them and their cancer. It has little to no effect on other cells in the body. It is administered in liquid or capsule form. IF he needs his thyroid gland removed, he may have to wait several weeks for the radioactive iodine treatment. After treatment for thyroid cancer, he may need to take thyroid hormone for the rest of his life to replace the hormones that his body no longer makes. Dr. Dharmesh Vyas further said, "We anticipate a complete recovery. In all likelihood, Olli will go on to live a healthy life and this should not affect his ability to play hockey long-term." For his part, Maatta seems to be taking it all in stride. When interviewed he said, "I feel healthy and I feel fine, but the only thing that's different is I maybe have a cancer." A proven scientific research & natural home remedy that eliminates your thyroid issue completely.. Over 135,000 people cured their thyroid from home. Not only for impressive words, see how & read experienced people’s feedback here.. 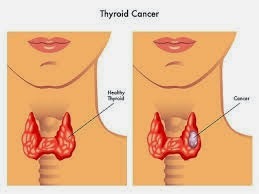 I have fought thyroid ups and downs for the past 9 years. I’ve seen my family doctors, an endocrinologist, and a chiropractor in hopes of some “natural” help. I’ve been taking Armour Thyroid now for a year and have seen ups and downs with it until 10 weeks ago. Then only i have come to know for good one . Now My blood sugar is balanced and all my fogginess is gone even when I don’t sleep well. I can tell I’m not full of adrenaline anymore. I can do very gentle strength training exercises for the first time in a couple years. Read the testimonials of happiest people.